The Mission: Impossible franchise and Tom Cruise have still got it. The fifth movie of the big-screen series, called Mission: Impossible — Rogue Nation , dropped its trailer today and it's got all the epic stunts you want from an MI movie: Cruise at 52 years old is as buff as ever playing Ethan Hunt, who is shown beating up bad guys and hanging off flying jet liners (seriously). Rogue Nation, coming out on July 31, is as rogue as it gets and it even justifies the fact that the movie won the rights from Star Wars to be called "rogue" first. A few weeks ago, the movie was merely known as Mission: Impossible 5 before revealing its name, which just happens to share a keyword — rogue — with Disney's Star Wars stand-alone spin-off movie, Rogue One. It's not wise to mess with Disney or Star Wars, but luckily Paramount (MI's studio) made all the right moves to ensure that MI could go "rogue" without stepping on the now mouse-eared space-franchise's toes. After all, director Gareth Edward's Rogue One is being released way off in December 2016 and its own plot is kind of a mystery (is it about X-Wing pilots? Will star Felicity Jones play one?). For now, Mission: Impossible — Rogue Nation is by far the most rogue of the two. 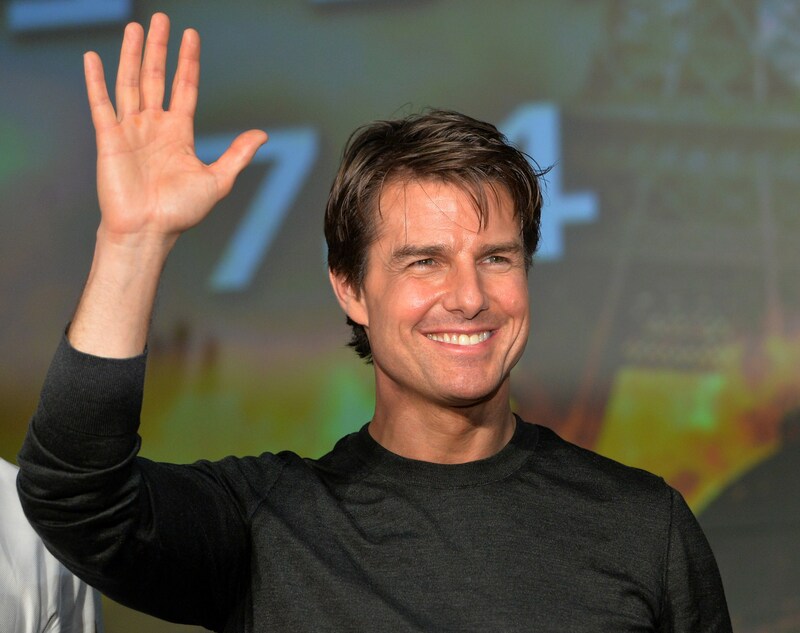 The movie is coming out more than three years after Mission: Impossible — Ghost Protocol made $695 million worldwide, making it the highest grossing film in the franchise yet. But Rogue Nation can top it — especially since it has that early victory over Star Wars. I don't know everything about the new MI movie just yet, but here the ways the trailer is truly and epically rogue — in GIFs. Can anyone — or anything — stop Ethan Hunt? Avoiding trucks and escaping explosions. Totally rogue. Taking out two bad guys at once in a narrow alley — don't worry, Hunt will be able to get out of this one. His intrigued expression has me intrigued. What could he be reading? Summer can't come soon enough. Watch the trailer below for a taste of the action.